I have a small quantity of these wheels, which were originally obtained for use with mobile coffee carts. 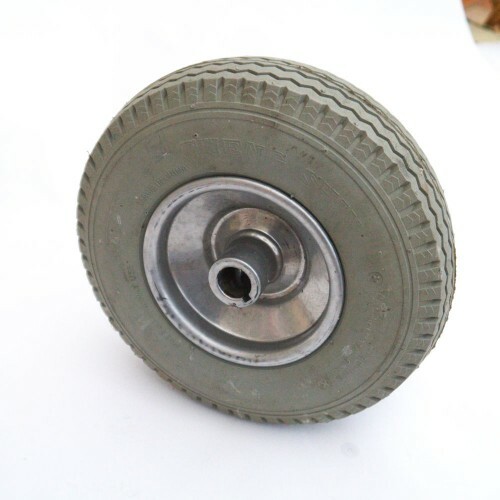 The wheels comprise of a nylon non-marking foam filled tyre on a steel keyed hub. 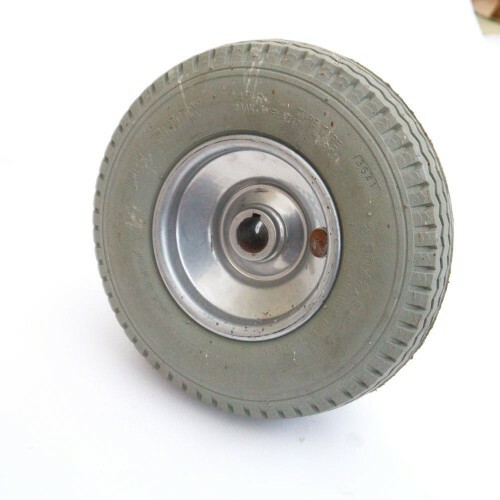 The tyre o/d is approx 22cm and the tyre width 66mm. The steel hub has a bore of 3/4" ( 19mm ) and is keyed for the full bore lengh of 54mm. The wheels are a few years old, in unused condition, save a few scuff marks on the hubs.